This collection of essays by Dr. Gregory J. Laughery, the Director of the Swiss branch of L'Abri Fellowship, explores many important issues at the heart of current discussions about the veracity of Scripture and the future of the church. Reductionism and polarization offer deceptive promises of resolution, and all too often function as the patron saints of Christian thought in disputes over philosophy, theology, language, interpretation, and their interactions. 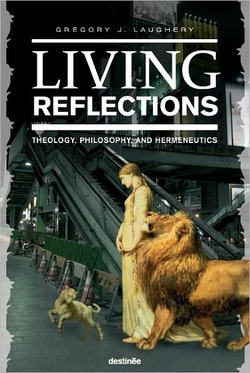 Living Reflections moves in a different direction. It establishes a space for dialogue, mediates one-sided extremes, and depicts a new vision for engaging these contested issues. Challenging and insightful, it invokes a perceptive wisdom going beyond modernist and postmodernist perspectives, affirming the tension-filled and organic character of Christian truth.